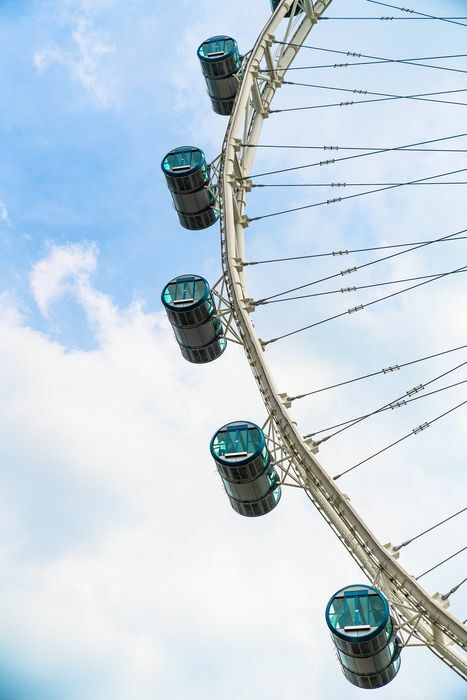 What’s the first thing that comes to mind when you think about Singapore? For me, it’s the iconic architectural phenomenon, Marina Bay Sands, which resembles a giant ship suspended at a height of 200 meters (656 feet) above three matching skyscrapers. There’s nothing quite like it. The towers house the uber-luxurious Marina Bay Sands hotel, which is so much more than just a hotel. 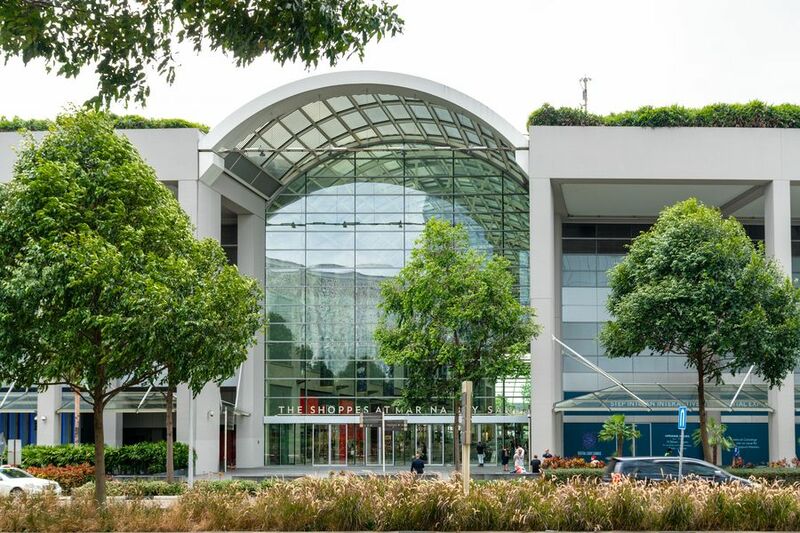 It’s a sprawling entertainment complex that includes a casino, theatre and shopping mall and also acts as the gateway to several of Singapore’s most popular tourist attractions, like the ArtScience Museum and Supertree Grove. Any trip to Singapore would be incomplete without at least a day to explore Marina Bay Sands (MBS) and its surroundings. 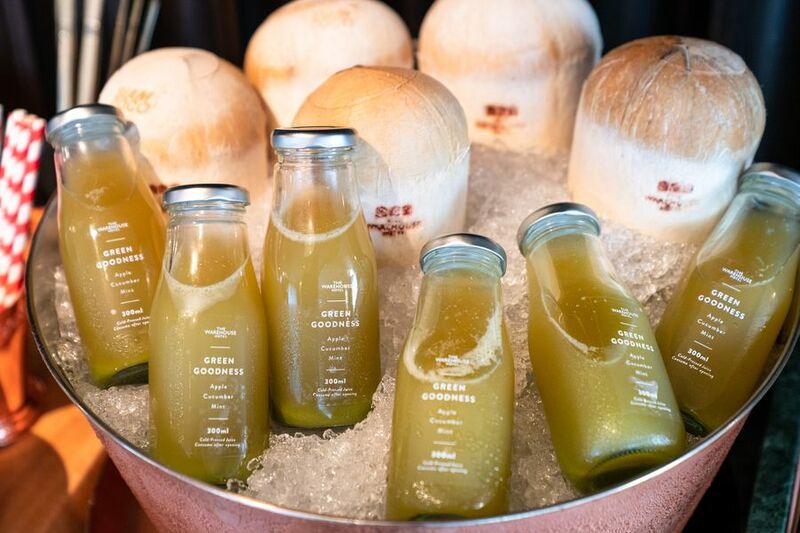 Here are my 8 favourite things to do around Marina Bay Sands. 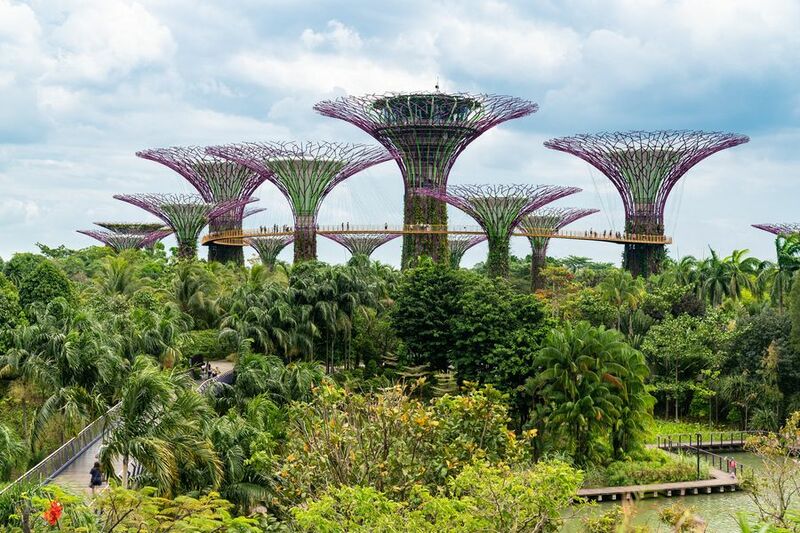 In a city where almost every inch is covered by skyscrapers, Gardens by the Bay is a refreshing patch of paradise. The waterfront nature-park is made of lush, grassy open spaces, lakes and fountains, children’s playgrounds, art sculptures, and winding pedestrian pathways. All of this is open to the public free of charge. Yep, totally free. 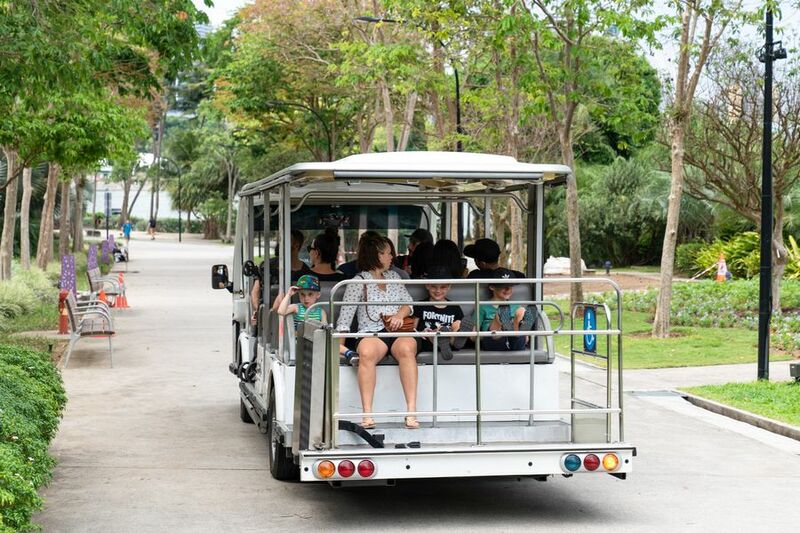 If you’re interested in looking around without spending hours on your feet in Singapore’s heat and humidity, a shuttle service is available for S$3 per person (9am – 9pm). 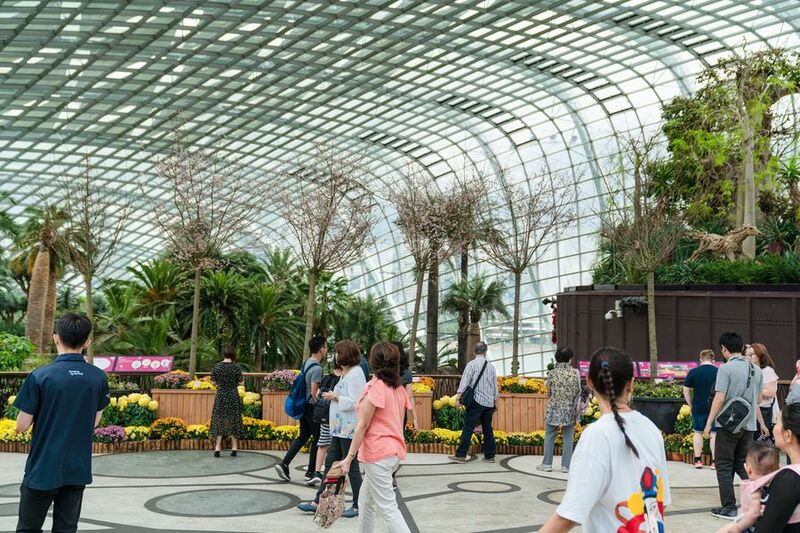 The most common way to get to Gardens by the Bay is through the main entrance at Marina Bay Sands. Finding the entrance via the hotel lobby requires a little maze-esque navigating skills - go outside, up a lift, and across a skybridge (called “Dragonfly Bridge”), but it’s fairly clearly signposted with friendly staff to ask if you happen to get lost. The easier method is underground via the metro station. Exploring Gardens by the Bay thoroughly could easily take a whole day. 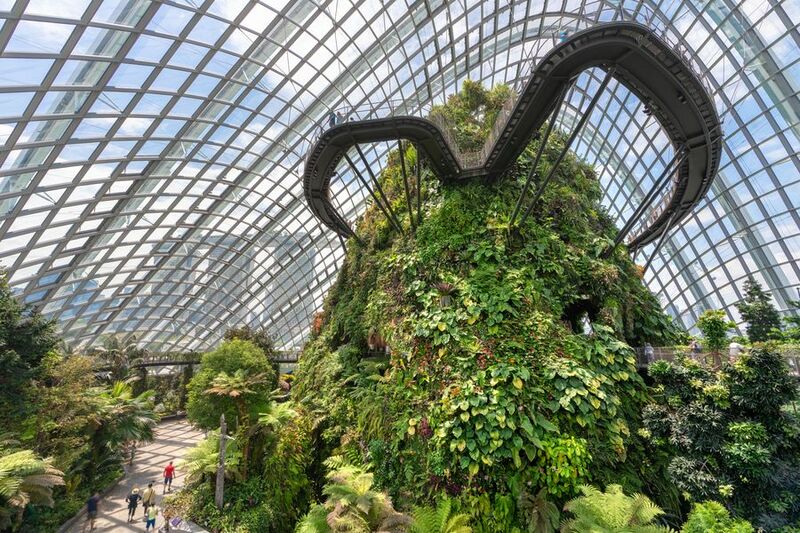 If you’re short on time, I recommend going straight to the 2 specialised biodomes, Cloud Forest and Flower Dome, followed by the futuristic forest, Supertree Grove. Cloud Forest is a giant greenhouse that mimics the climate of endangered tropical highlands, which make up only 2.5% of the earth’s natural habitat. Inside the Cloud Forest, you get the chance to scale an indoor mountain (via a lift, don’t worry) to see mystical foliage, vibrant orchids, and even carnivorous plants that all thrive high upon chilly mountaintops. To nourish these rare and exquisite plants, mist is sprayed over the mountain every two hours with the first mist show at 10am and the last at 8pm. The dome’s most impressive feature, however, is its towering indoor waterfall - the world’s tallest at 30 meters high. 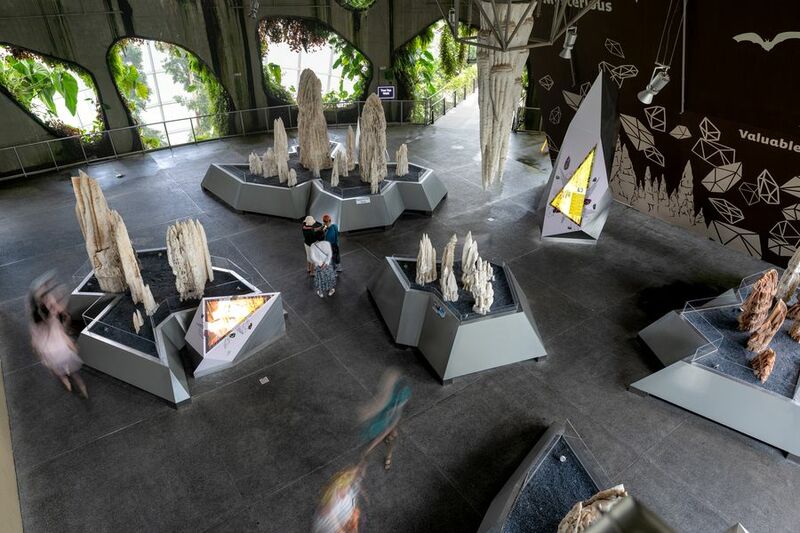 The Cloud Forest isn’t just for show, it also features an educational component with examples of stalagmites and stalactites, a short educational movie, and posters on climate change. 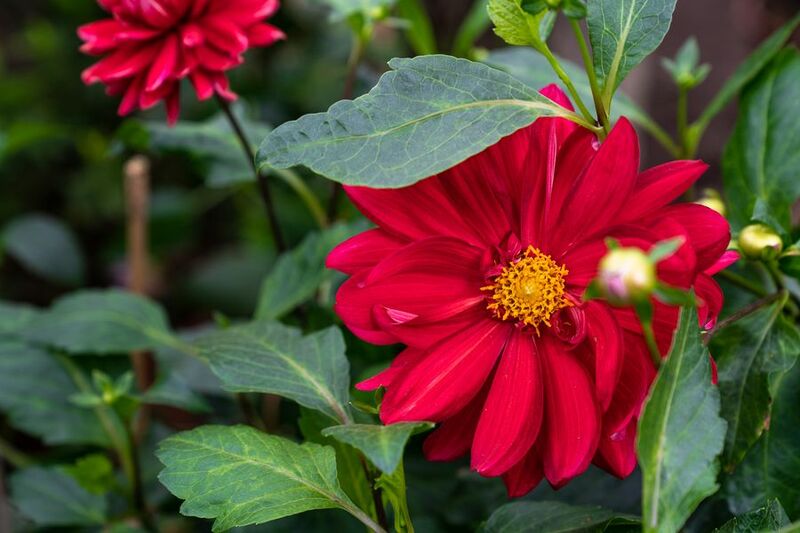 A short walk from the Cloud Forest is the Flower Dome, another larger-than-life greenhouse, this time full of rare and exquisite flowering plants grouped by their natural habitats. 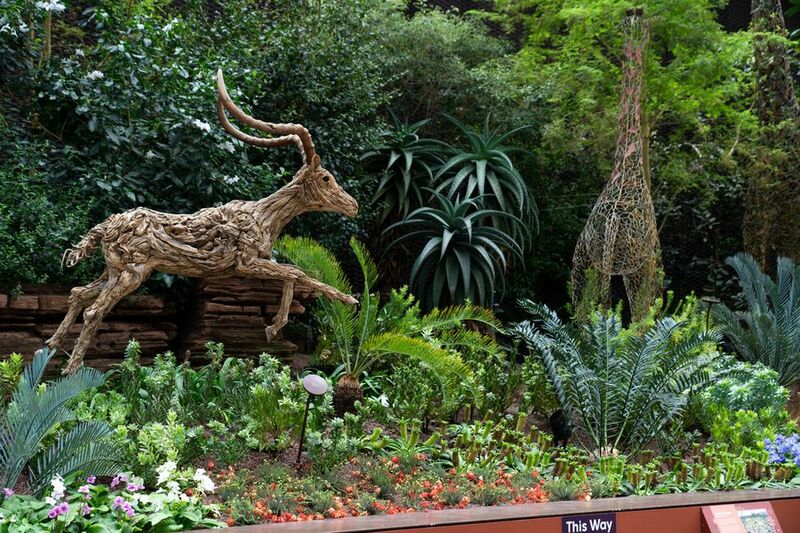 There’s a South American garden, Australian garden, and Californian garden to name a few. A landscaped garden is not complete without stone pathways, wooden archways, and garden benches, and the Flower Dome is no different. Appreciate the peaceful atmosphere, sit by your favourite flowers, and just stop to smell the roses. Literally. Flexible discounted tickets for the Cloud Forest and Flower Dome can be purchased online through Voyagin. Tip: I found the best time to visit Gardens by the Bay was in the mid-morning when it’s not too crowded. I arrived at the Cloud Forest around 11:30am and caught the 12pm mist show before moving on to the Flower Dome. 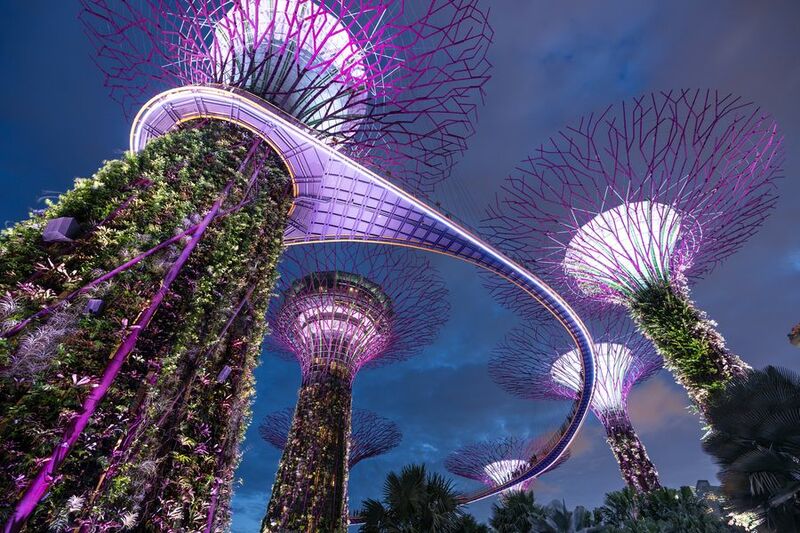 The largest trees at Gardens by the Bay are not palms or ferns, but Supertrees! The shady, metal tree-like structures are wrapped in leafy vines and range from 30 to 50 metres high. There are a few tree displays within Gardens by the Bay but the largest and most impressive is the Supertree Grove. Although the soaring Supertrees are pretty magnificent at any time of day, they come to life at night with bright LED lights, resembling something out of the movie Avatar. The lights stay blue and purple most of the time, but during the twice daily light show they flash different colours in synch to a soundtrack. The light shows run at 7:45pm and 8:45pm each night and crowds gather around the surrounding grassed area with picnic blankets. Snacks can be purchased from nearby food-trucks. 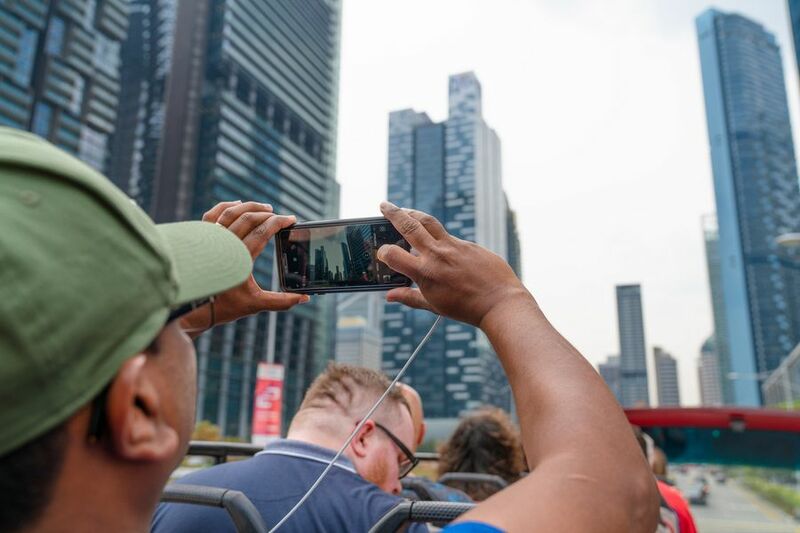 Viewing the Supertree Grove from the ground is free of charge, but if you want a closer look, I recommend buying a ticket for the OCBC Skywalk, an aerial bridge suspended from the tips of the Supertrees. Skywalk tickets can be purchased either online or at the door, but there is a timeslot system in place during peak hours. That just means you have to report to the ticketing booth upon arrival (near the base of the centre-most “tree”) to be allocated a skywalk timeslot before wandering around on the ground, and waiting your turn. 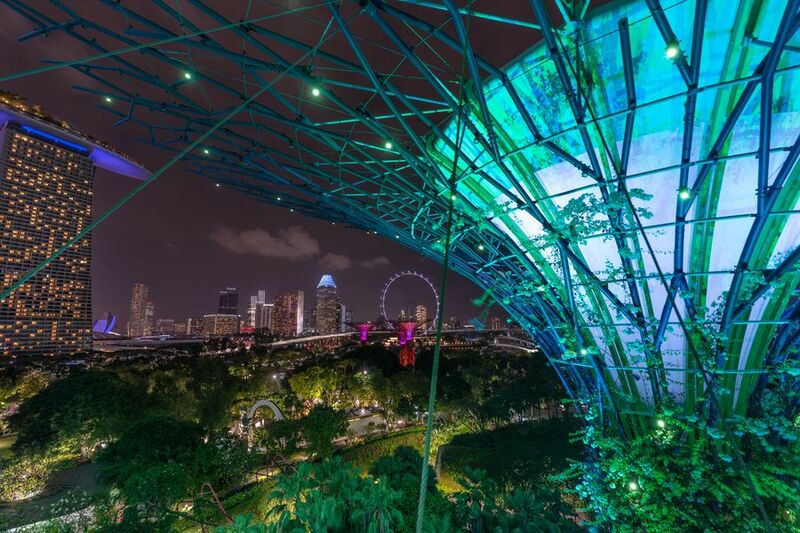 I scaled the skywalk during the light show and witnessed the magical trees changing colour up close while admiring the spectacular night views over an illuminated Singapore city. 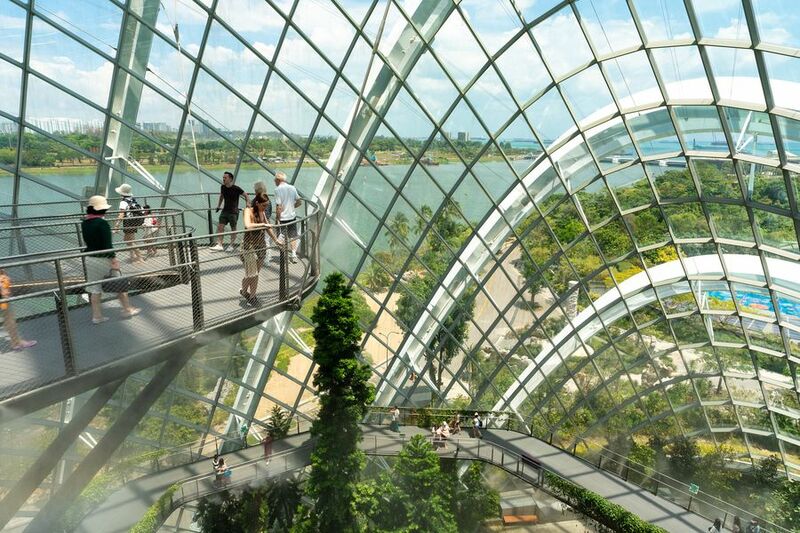 Flexible discounted tickets for the OCBC Skywalk can be purchased online through Voyagin. Just outside of the Marina Bay Sands shopping complex is the Helix Bridge, a pedestrian bridge designed to represent a strand of DNA. With its unusual curves and angles, the bridge is a photographer’s dream, especially around 5:30pm when the sun begins to set and hits the metal bridge with glistening golden reflections. 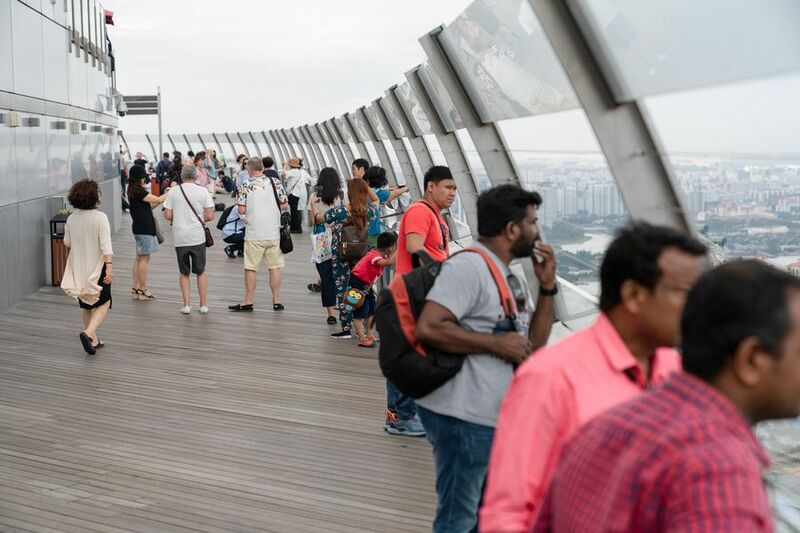 Protruding from the side of the bridge are a series viewing platforms where you can stop to take in some of the best views over the marina, Marina Bay Sands, and ArtScience Museum. The bridge is a hub of activity at night, when it lights up with LED lights and locals use it as part of a jogging track connecting to Queen Elizabeth Walk along the north side of Marina Bay. If you continue north along the Helix Bridge, walk 8 minutes west along the waterfront, and cross the Jubilee Bridge, you’ll reach the statue of Singapore’s official mascot, the Merlion. The Merlion is said to represent Singapore’s origins as a fishing village and its original name “Singapura”, meaning “Lion City”. The half-fish-half-lion statue is depicted spraying water out of its mouth into the marina below. A nearby viewing platform extends into the bay as a popular photo spot. Many tourists like to pose with gaping mouths so it looks like they’re catching the water sprayed from the Merlion. I didn’t try that but I did have to get a happy snap next to the statue of course. The Merlion is surrounded by small landscaped gardens, benches, paved areas, steps, and a few cafes and food vendors. Despite the crowds of tourists, it’s a beautiful place to sit by the water with a cold drink and enjoy a little people watching. When a structure is as outlandish as the Marina Bay Sands, there’s something that just makes you want to see it up close. Luckily MBS has opened its SkyPark to tourists. 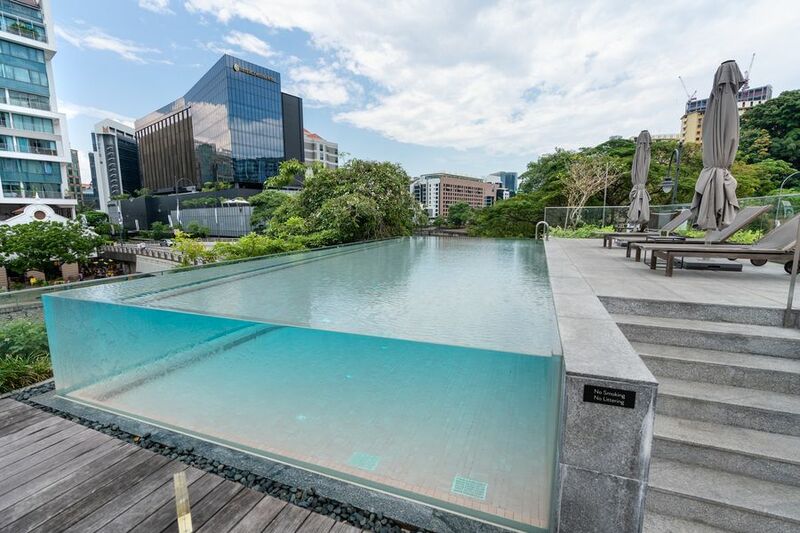 The boat-shaped rooftop area is primarily reserved for the world’s largest rooftop infinity pool and rooftop restaurant, but a section has been set aside as an observation deck. Queues for SkyPark were surprisingly short on the day of my visit so I rode the elevator straight to the 57th floor and was met with some of the best views of Singapore’s city skyline. The SkyPark was quite relaxed, with some tourists simply sitting on the floor and enjoying the scenery. 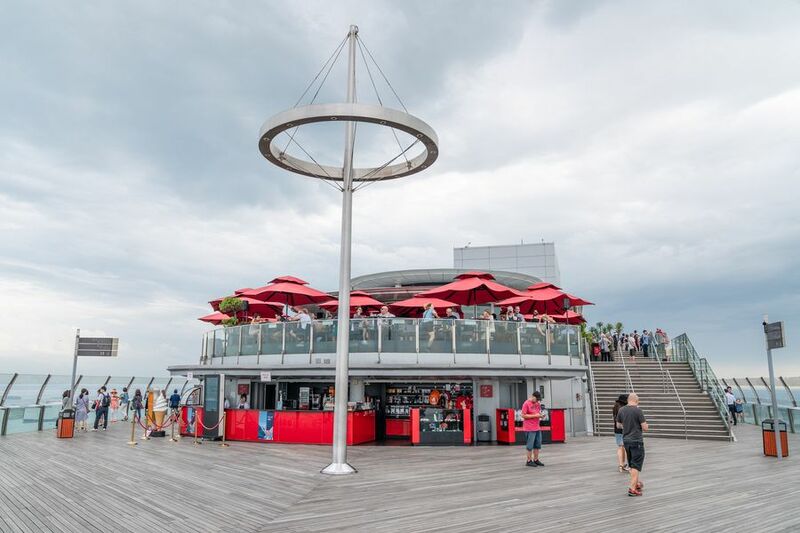 I took a thorough look around the observation deck and then headed over to Cé La Vi skybar for a refreshing cocktail. Cé La Vi has three sections, a formal restaurant, a club lounge, and a skybar. I recommend sticking to the less formal and less crowded skybar that overlooks the observation deck and welcomes walk-ins. Tip: once you enter the bar, you cannot get back to the observation deck. You have to exit through a different lift that services the restaurant. 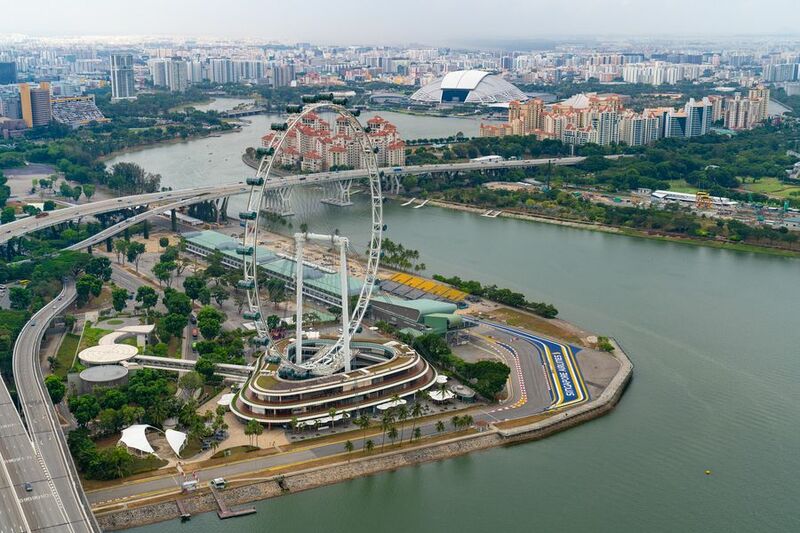 Flexible discounted tickets for the MBS SkyPark can be purchased online through Voyagin. Singapore is a favourite vacation destination of serious shopaholics and it’s easy to see why. 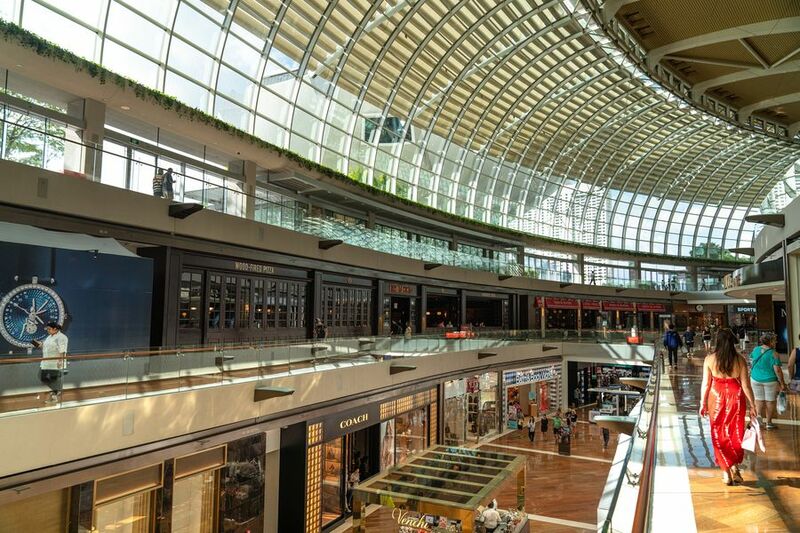 The city’s countless shopping malls are filled with prestigious designer fashion brands and The Shoppes at Marina Bay Sands is no exception. 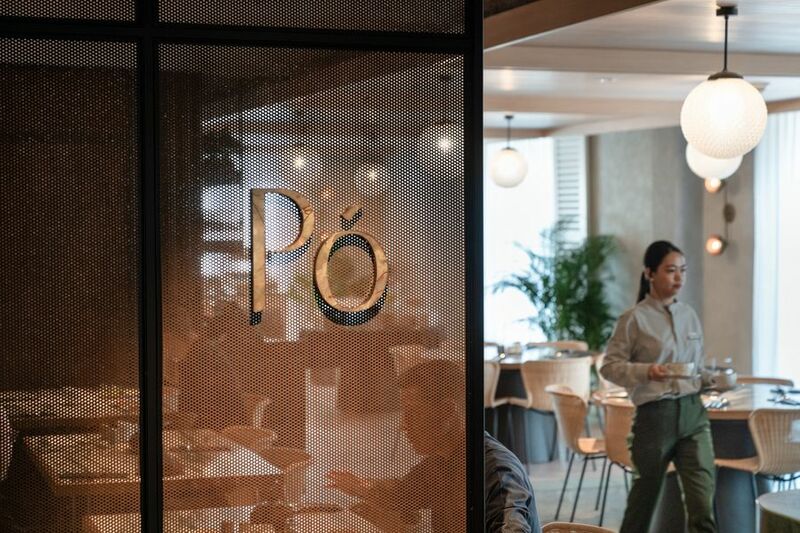 It’s so fancy, it’s even got a superfluous “p” and silent “e”. A short walk westward from the MBS main lobby, down an escalator, is what appears to be an underground shopping strip, but don’t be deceived. 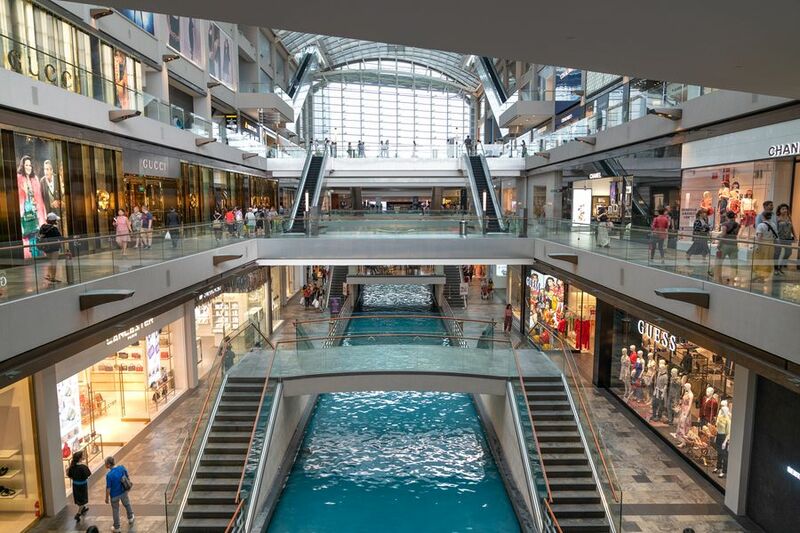 Continue along the walkway and the ceiling opens up into a vast, multi-story waterfront shopping mall with endless designer brand storefronts to the left and right. There’s Hugo Boss, Cartier, Tiffany & Co, Ferrari, Bvulgari, and Swarovski, as well as 2-story shops for the ultra-luxurious brands like Dior, Ralph Lauren, and Dolce & Gabbana. There’s even designer shopping for kids with Baby Dior, Dolce & Gabbana Junior, and Gucci Children’s. Keep your credit card sheathed if your willpower allows. Or go crazy, and pay for it later. 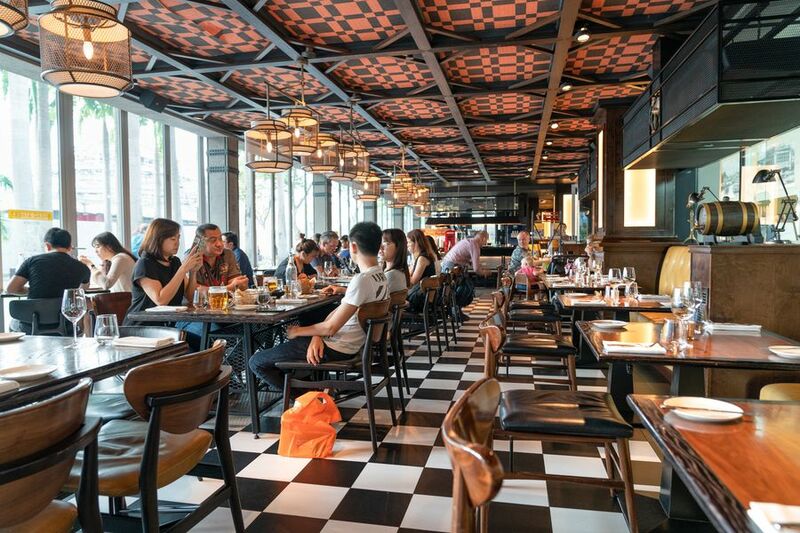 I was happily surprised to discover a handful of celebrity chef restaurants within MBS including Spago Dining Room by Wolfgang Puck, and Bread Street Kitchen by Gordon Ramsay. 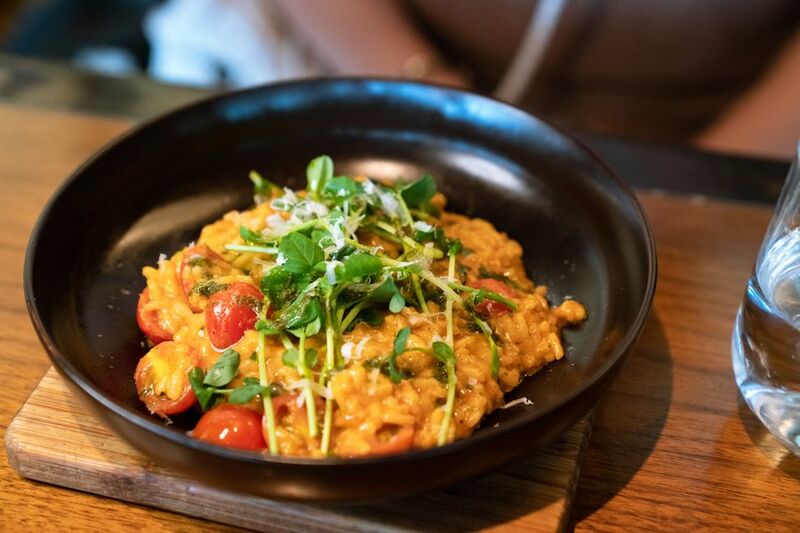 I ate at Bread Street Kitchen and thoroughly enjoyed the upscale, yet unpretentious British-inspired cuisine. The restaurant was not noisy, perhaps because the kitchen is on the level below. I didn’t see the famous Gordon Ramsay but he had definitely left his mark. The waitstaff were incredibly efficient, frequently topping up water glasses and checking on guests without being intrusive. 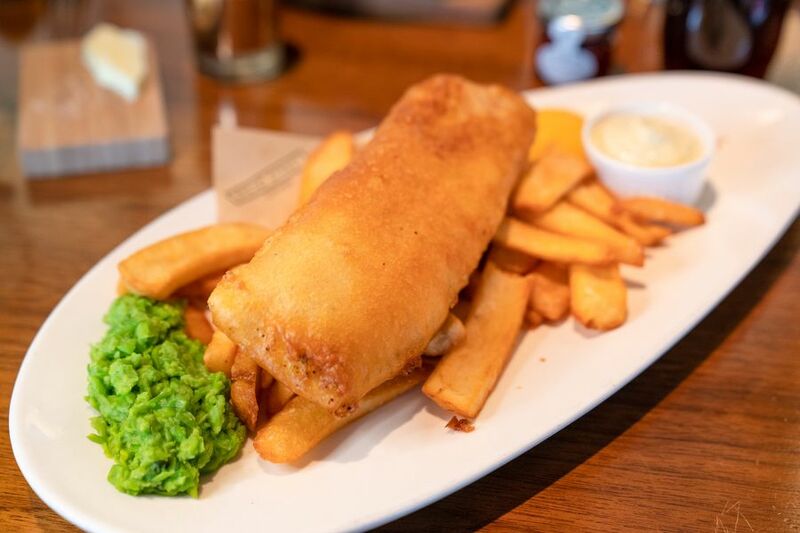 I ordered the traditional fish and chips which tasted amazing. The chips were without a doubt the best I’ve had in my life. I’ll have to take my nephew there one day, he’s quite the chip connoisseur. 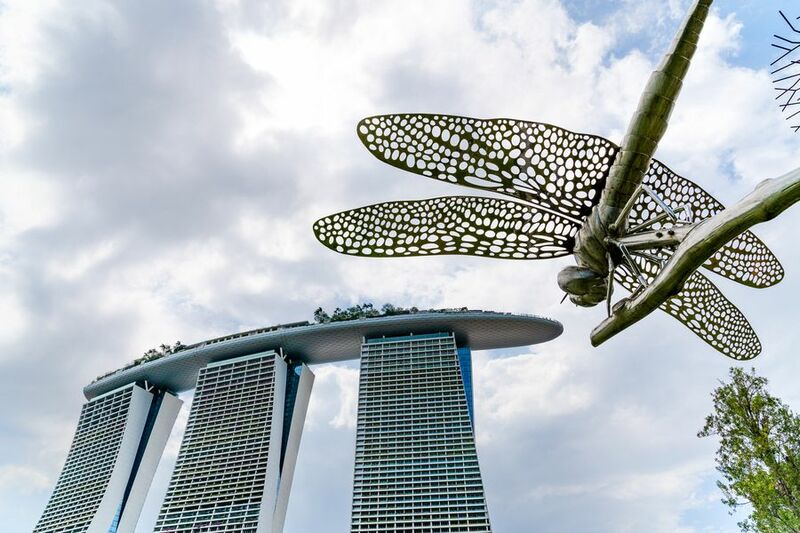 The ArtScience Museum is located within the white lotus-shaped building just outside of the Marina Bay Sands shopping complex, next to the Helix Bridge. 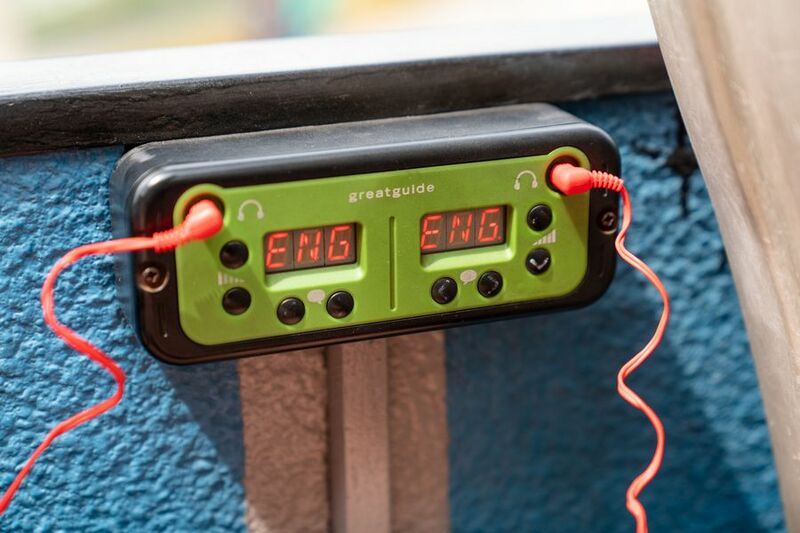 The museum showcases intersections between art, science, culture and technology. I only had time to visit 1 of the 3 current exhibitions so opted for Future World: Where Art Meets Science, which turned out to be the perfect choice for a tech-nerd like me. 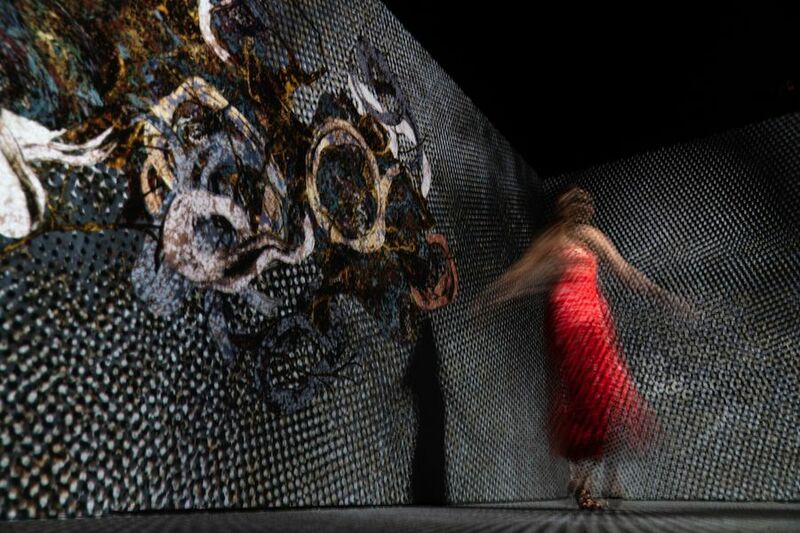 Most of the attractions centred around projecting digital images in innovative and interactive ways. There was a nature room with projected images of butterflies flying across flowering walls and floor, a slippery slide with projected images of fruit that explode into balls of light as you zip over them, and an interactive colouring station. 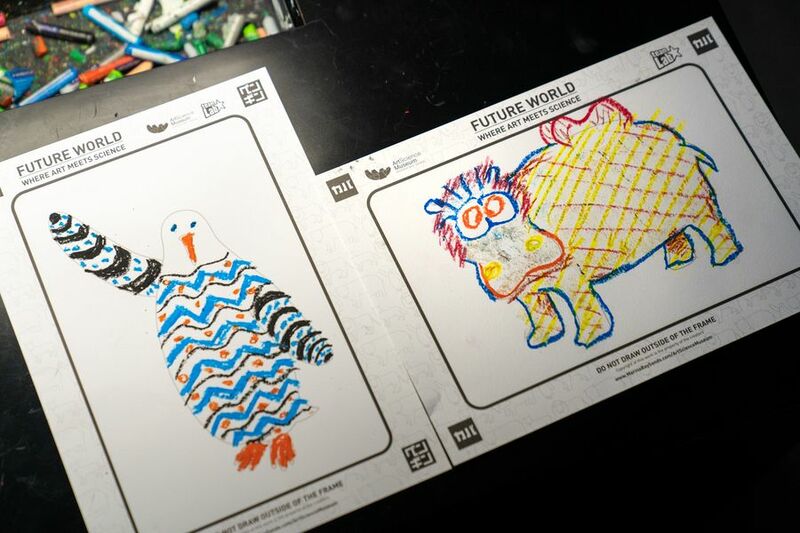 The colouring station seemed unremarkable at first - you take an animal line drawing and colour it in with crayons. 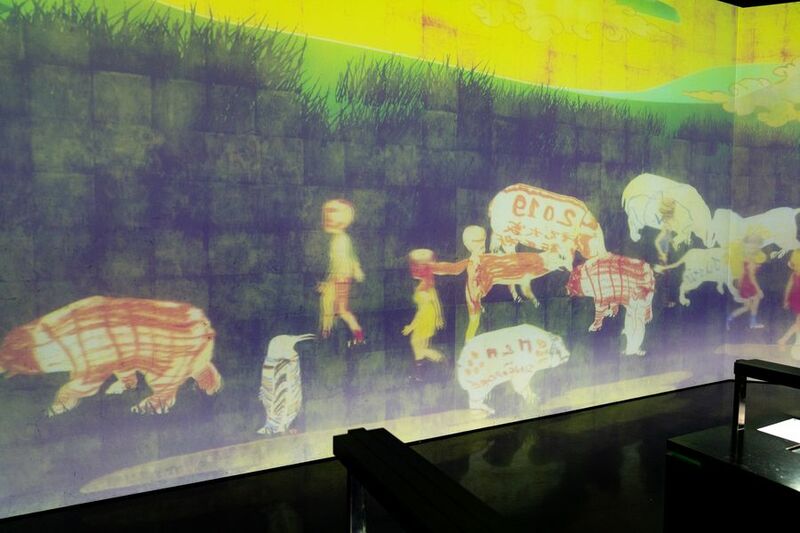 The magic happens when you scan your page into a nearby scanning station and watch as its projected onto the back wall to walk around and interact with the other coloured animals (the photo doesn’t really do it justice). How cool is that? 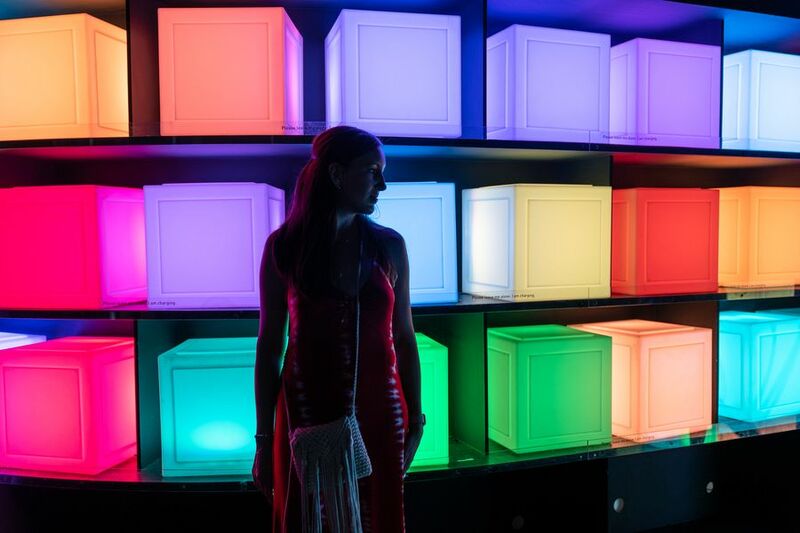 The highlight of the exhibit was a futuristic light room that used mirrors to appear to be a narrow pathway surrounded by infinite streams of LED lights. It was almost like walking through a giant disco ball, but much classier. And way more Instagram-friendly. Marina Bay Sands is an unmissable stop in Singapore whether you stay in the centre of the action or simply visit for a day trip or two. 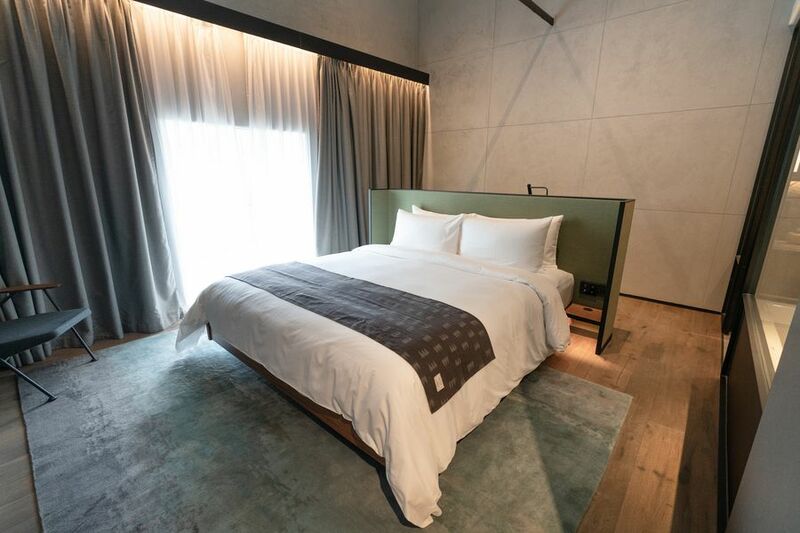 To avoid the crowds at MBS I stayed at The Warehouse Hotel, a small boutique hotel in Robertson Quay that oozes with quirky yet charming character. The building was constructed in 1895 in a neighbourhood then famous for liquor distilleries and other underground activities. 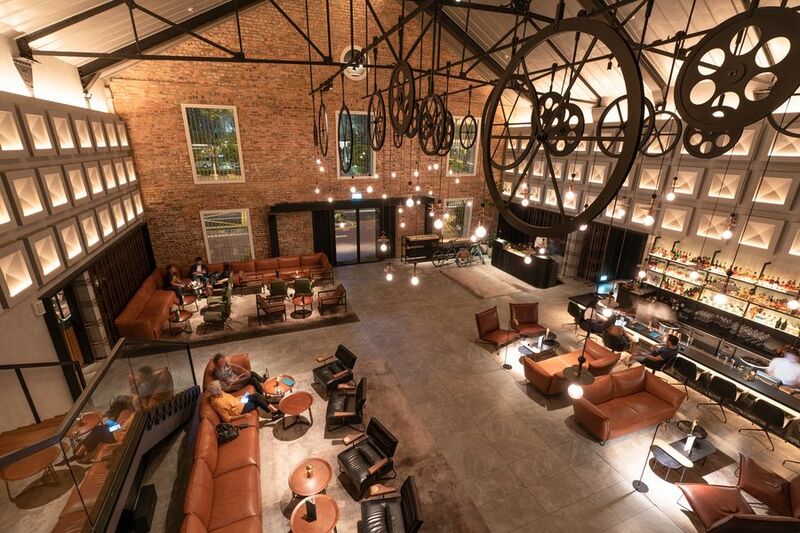 The refurbished hotel now showcases its heritage with subdued lighting, shuttered windows, and an out-of-this-world-amazing cocktail bar. We stayed in a spacious River View Loft suite. I couldn’t help but notice every product used in the hotel was of outstanding quality. 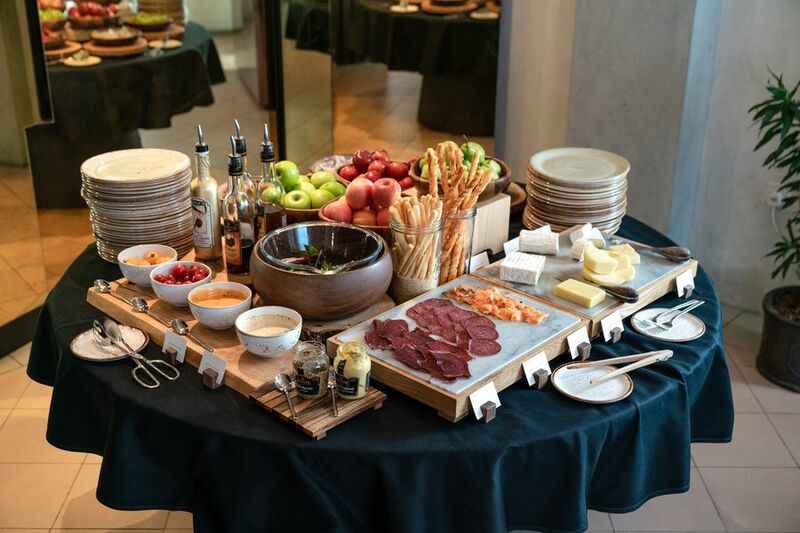 From soaps and teabags in the suite to yoghurt and fruit juice in the breakfast buffet, every product was the best of the best. 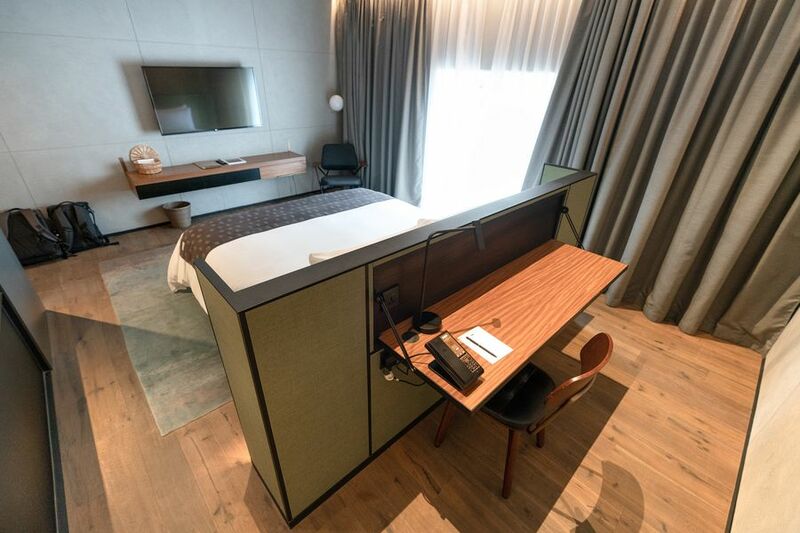 It turned out that all products used in The Warehouse are produced in Singapore and form part of the hotel’s mission to showcase local producers. 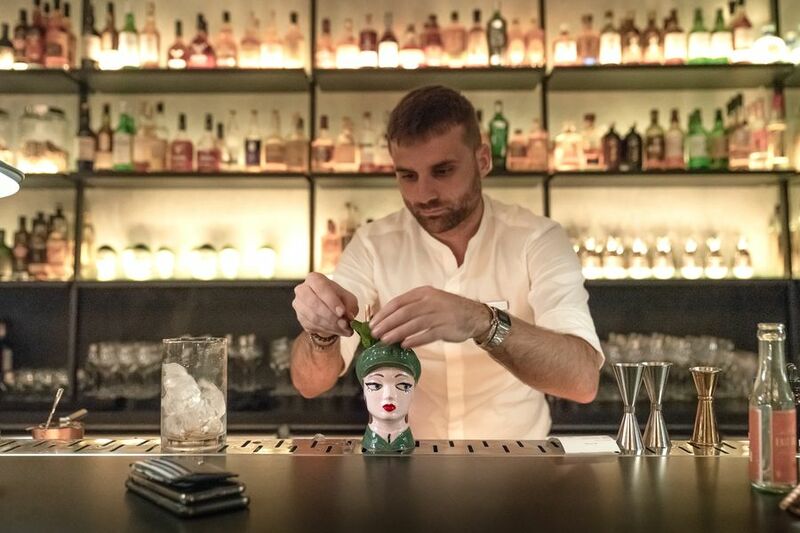 Even the essences used within the bar’s cocktails are crafted in-house. 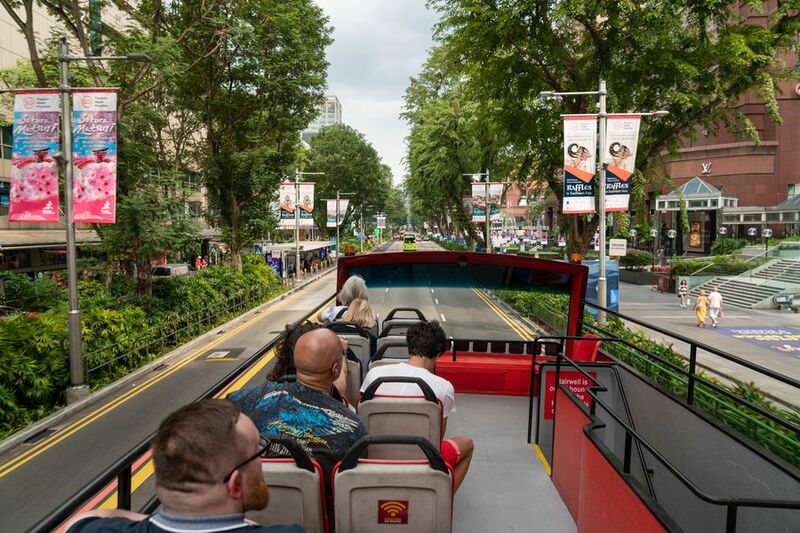 The best way to see Singapore as a tourist is with Big Bus Tours. 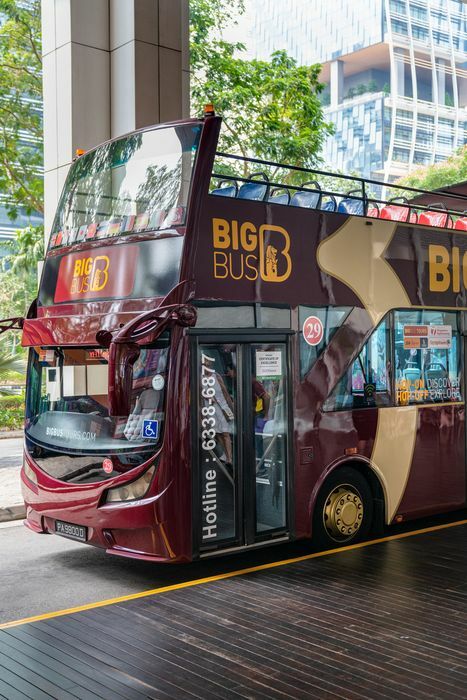 Tickets for their hop-on-hop-off bus can be purchased online or from the City Sightseeing stand at Suntec City. Tickets are valid for either 24 or 48 hours, depending on the ticket class you purchase, and provide access to 5 different bus lines. 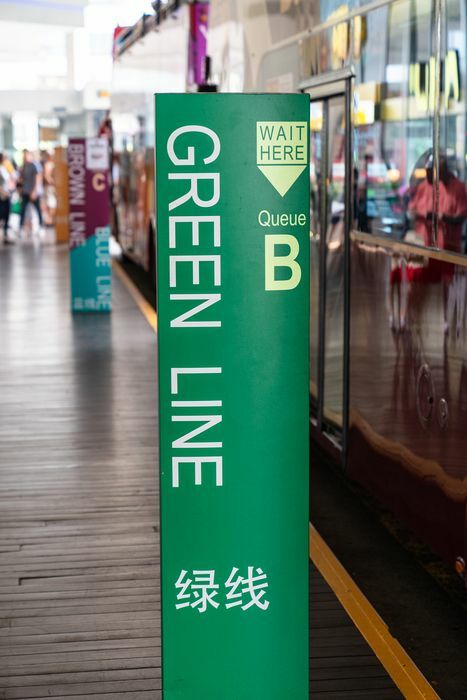 That’s a whole lot of hopping on and off at stops like shopping district Orchard Road, Chinatown, Clarke Quay, Resorts World Sentosa, and of course, Marina Bay Sands. Marina Bay Sands is a buzzing hub of activity within the concrete jungle that is Singapore. 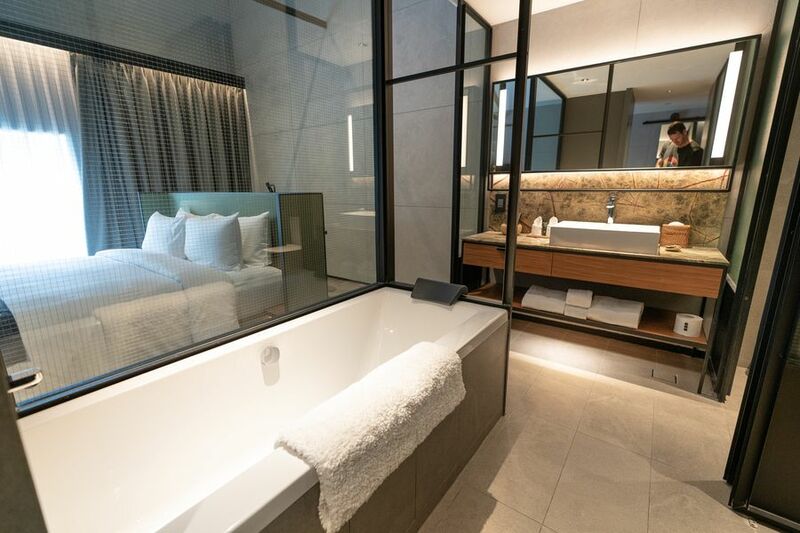 The complex provides a contrast of rooftop cityscape views, rare and exquisite gardens, designer shopping, and insights into the world of tomorrow. 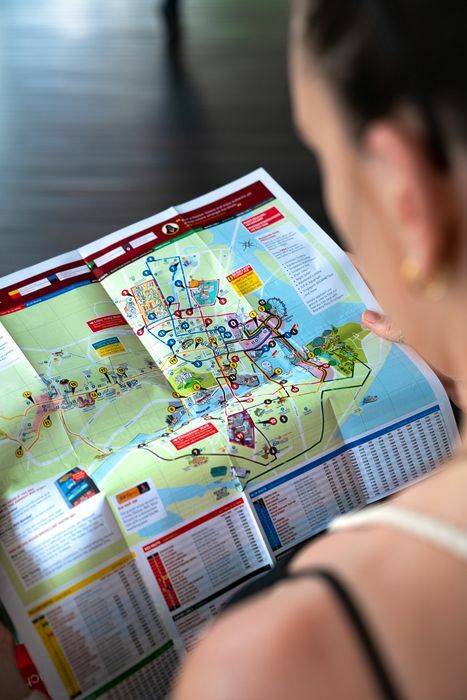 If you can’t decide what to do when you next visit Singapore. Start with Marina Bay Sands. You really can’t go wrong.